We invite you to participate in a meeting and associated test method validation exercise with the ASTM International Standards Committee on Homeland Security Applications; Response Robots (E54.09). This is our same committee elevated one level to that of a sub-committee due to recognition of our overall productivity. In attendance will be members of the new DHS FEMA Urban Search and Rescue (US&R) Robotic Standards Group. This will be the first meeting of this group, which is tasked with identifying test methods to evaluate robots for purchase for FEMA US&R task forces. Robot manufacturers will be bringing their robots to demonstrate capabilities within the test methods. Test administrators from around the world will be there as well to help conduct the testing and collaborate on new test methods. The associated test method evaluation exercise will be set up to demonstrate almost all test methods under development. We will validate and refine the test methods with participants by conducting data collection trials and demonstrating training with measures of operator proficiency. Configuration Identification photo booth and robot dispatch board to show where and when each robot is testing in which test method. 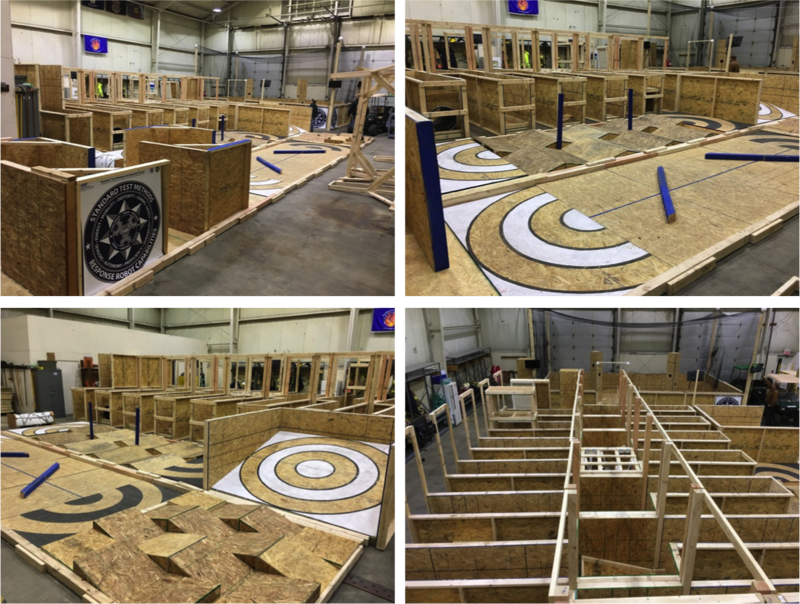 120cm (48in) wide lanes forming a Basic Maneuvering and Dexterity Skills Course for Bomb Squad Robot Operators that will be used by local bomb squads on their own robots. 60cm (24in) wide lanes to evaluate a variety of issues inside dwellings, buses, trains, between parked cars, etc. These test methods have optional confined space "ant farm" entries for throwable robots. 30cm (12in) wide lanes for throwable robots working in confined spaces. Also for new initiatives into truly disposable, rapidly manufactured, and 3D printed robot kits. 5 Sensors test methods for visual acuity, color acuity, latency, dynamic range, and speech intelligibility. 2 Radio comms attenuation and interference test methods in a 40ft ISO container. Several other test methods for Sensors, Situational Awareness, Endurance. 10 Aerial test methods for maneuvering, inspecting, perching, etc. in a netted aviary. 15 Aquatic test methods for a range of underwater C-IED tasks in a rented frac tank (50x8x8ft; 18,000gal). Select which test methods will be used to evaluate and specify robots for various missions. Review existing robot capabilities demonstrations in standard test methods. Use existing robot purchases that used data from the test methods to specify robot capabilities as a model for related roles in US&R missions. Review the entire Response Robot Capability Compendium and filtering interface to learn about setting thresholds to best reflect particular mission requirements. Local bomb squads will be using their own robots to perform the Basic Maneuvering and Dexterity Skills Course for Bomb Squad Robot Operators that was used in 3 regional Robot Rodeos in 2016, enabling direct comparison of their own proficiency to regional and national averages. The objective of this meeting of the ASTM International Standards Committee on Homeland Security Applications, Sub-Committee on Response Robots (E54.09) is to provide an update on each working group’s effort with an emphasis on getting the existing test methods to ballot. Draft standards and prototype apparatus designs will be reviewed and exercised by more than 20 robots and operators provided by manufacturers and others. Topics will include recent test method validation exercises, robot purchases, competitions, training events, and new collaborating test facilities around the world. Each working group will review and validate their suite of test apparatuses, address comments to draft standards, and discuss the balloting status. As always, we will be briefing the entire E54 standards committee on our progress, but the real work at these events gets done during the focused working group meetings conducted throughout the week as noted in the agenda below. A large contingent of robot manufacturers, test administrators, emergency responders and other users will be there to contribute. This meeting and exercise will be conducted concurrently from Monday through Friday with ongoing robot testing and focused meetings each day discussing the details of each test method suite. There will be ample time to watch the test methods and robots in action. We will try to enable people with different interests and familiarity with our process to ramp up and lean into their chosen test suites. Focused meetings on each test suite will be conducted in the auditorium or conference rooms depending on the number of attendees. These will be scheduled according to the agenda below. GROUND robot test methods will be exercised and discussed every day. AERIAL and AQUATIC system test methods will be exercised every day but the focused meetings will be on different days. 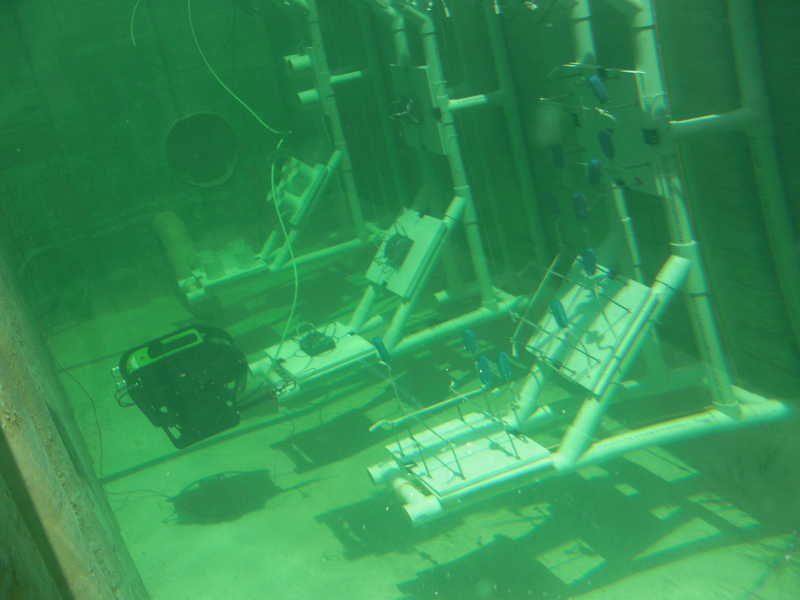 Robot testing with "expert" operators provided by the manufactures will be conducted constantly within the test facility for ground, aerial, and aquatic systems. Robot capabilities data will be captured to support the standardization process and to set the 100% percentile of operator proficiency that others can use to measure and compare their own proficiency. 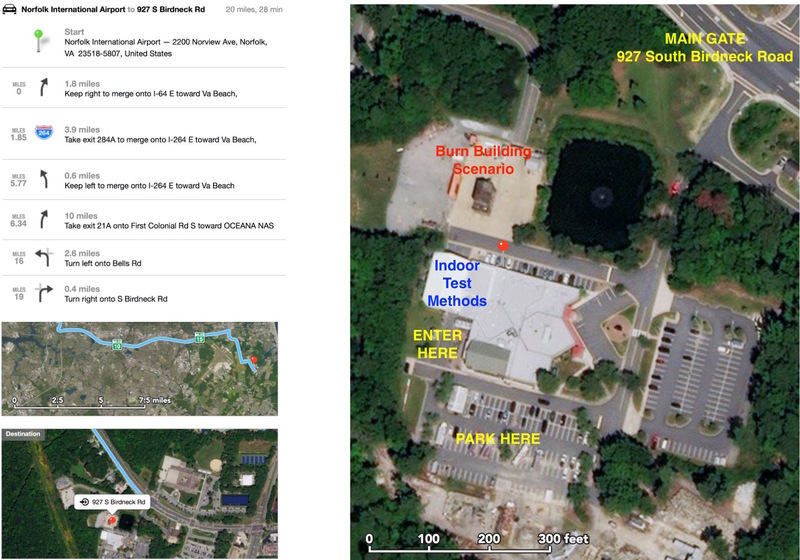 Lunches will be served in the test facility each day so we can eat and watch the concurrent test stations in action. Our new ASTM International Standards Committee on Homeland Security Applications; Response Robots (E54.09) is official. But we have no current voting members! If you were a member of the Operational Equipment (E54.08) sub-committee, you are not automatically a member of the new Response Robots (E54.09) sub-committee. So please go online and either shift or add your affiliation to our new sub-committee. You do not need to give up your position on any other sub-committee if your interests remain. Prior to the January 30th meeting, we will need to transfer all members and then go through a process to ensure the balance remains equal between manufacturers, users, test administrators, etc. But we cannot even call the committee into order unless we have a quorum of members signed up, and at least 10% of them on site. We will also need to go through a process of transferring over the pertinent standards and work items currently residing within Operational Equipment. So when you look up Response Robots (09) on the website don’t think that we’re starting from a blank slate. That should be accomplished by the meeting as well. 1200 Lunch served on site, robots continue testing so everybody can watch. Response Robot Capabilities Compendium (v2015-16) overview and filtering interface, bar charts, etc. Robot competitions using our standard test methods as challenge tasks to guide innovation and measure progress in emerging capabilities and autonomy. Responder and military training events using our standard test methods to focus training and measure operator proficiency. 1900 After action meeting locations will be posted each day. Robots continue operating in dozens of their chosen standard test methods attempting to establish statistically significant performance for responders to consider. Robots continue operating in standard test methods. Systems demonstrated to be reliable in the test methods can be selected by responders to perform mock deployments into the scenarios. 1700 After action meeting locations will be posted each day. Note: *Veggie options will be available for lunches hosted at the test facility. Configuration Identification photo booth and robot dispatch board to show where and when each robot is testing in which apparatus. 10 Ground maneuvering and mobility test methods in an array of 60cm (24in) wide lanes for operations inside dwellings, buses, trains, between parked cars, etc. 10 Aerial test methods for maneuvering, inspecting, etc. in a netted aviary. 15 Aquatic test methods for a range of C-IED tasks in a rented frac tank (50x8x8ft; 18,000gal). 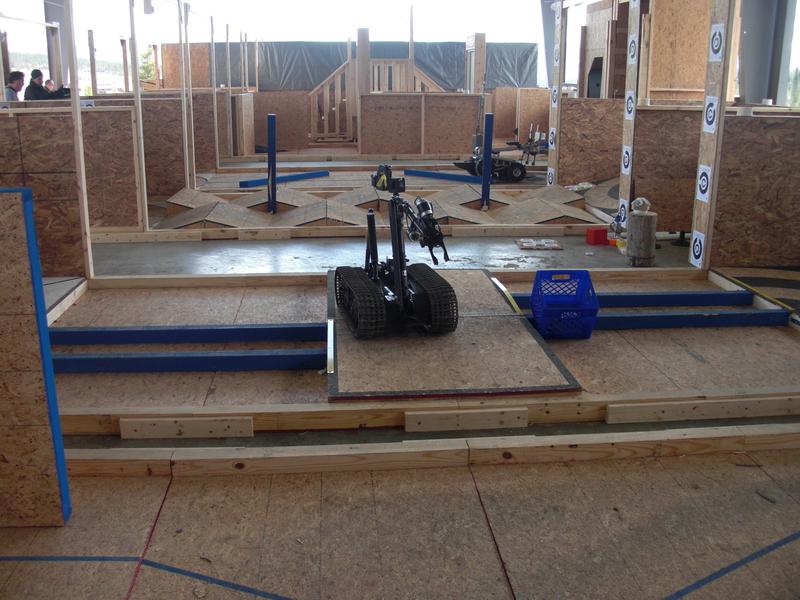 10 basic maneuvering and dexterity test methods in 120cm (48in) wide lanes forming a sequence called the Standard Basic Skills Course for Bomb Squad Robot Operators. It's a 30 minute time limited trial to measure proficiency of local civilian and military bomb technicians using their own robots. 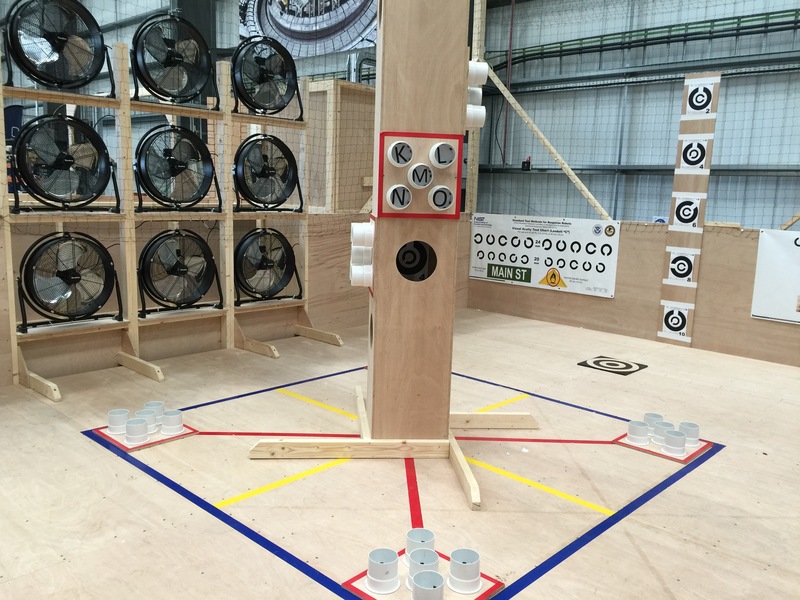 This has been replicated at three regional Robot Rodeos in 2016 enabling direct comparison against regional and national averages. Some scenarios on site will be available for mock robot deployments with responders. This is only for robots that excel in the standard test methods. These scenarios will be outfitted with the embeddable set of standard test methods to demonstrate how to capture quantitative measures within the scenario's environmental complexity. 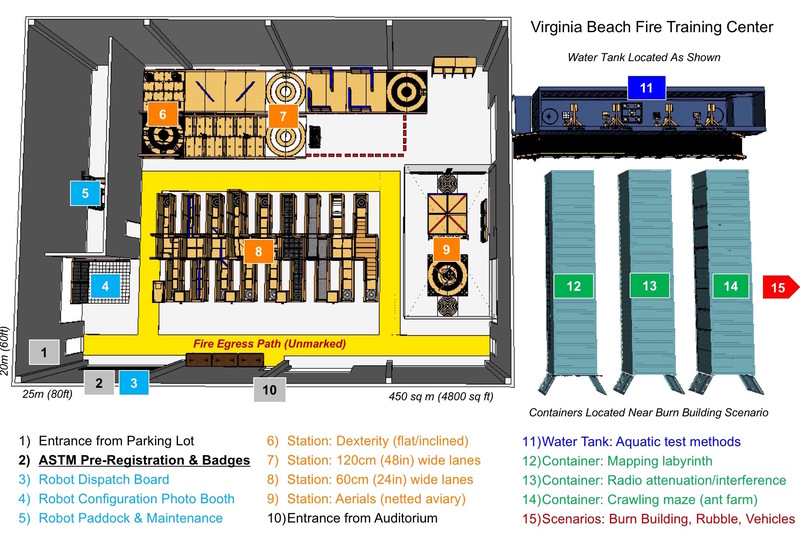 For example, the Burn Building scenario and Rubble Pile scenario will be outfitted with combined target panels to search for and identify. They include tests for Video Image Acuity (human and machine readable), Hazmat Label Identification (color and symbols), Thermal Image Acuity, Motion Detection, Audio Acuity, and Timestamps for screen captures from the remote operator station. These combined targets come in near and far field sizes to embed in different situations. They can be in open areas or confined spaces for ground systems. Or they can be viewed through windows or from defined altitudes by aerial systems. When the viewing distances are known such as from a defined doorway, line on floor, or altitude, these can provide strict measures. Or they can simply be known targets to find and identify as indicators of performance prior to more operationally significant tasks nearby. Other examples of easily embeddable test methods include a variety of dexterity tests, terrain elements, mapping fiducials, etc. This event will consist of equal parts meetings and test method evaluations with robots. Some additional mock deployments into US&R training scenarios will also be conducted later in the week. Responders please wear your insignias so people can know where you're coming from throughout the US. For those deploying robots into training scenarios, additional PPE will be required. Tethers to avoid radio conflicts. Spare batteries and charger to conduct nearly continuous operations. We will provide a table, chairs and power. You may bring your pop up marketing backdrops and handouts. Shippers MUST deliver with drop tailgates. There is no loading dock or forklift available for unloading. Fabrication of test apparatuses, the aerial aviary, and water tank in and around the building will be the priority two weeks prior to the event. Then embedding standard props into on-site training scenarios. In addition to ASTM staff, you can visit RobotTestMethods.nist.gov and/or email RobotTestMethod@nist.gov.